John Bengson’s research interests encompass topics in epistemology, metaphysics, philosophy of mind, philosophy of action, metaethics, and philosophical methodology. He has published articles on perceptual experience, intuition, understanding, know-how, skill, intelligence and intelligent action, and philosophical progress. 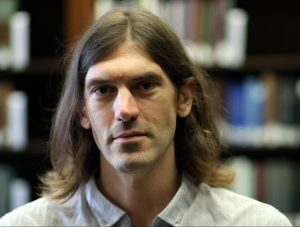 His recent publications include “Method in the Service of Progress” (Analytic Philosophy, 2018), “The Unity of Understanding” (in Making Sense of the World, 2017), and “Practical Perception and Intelligent Action” (Philosophical Issues, 2016). He is co-editor of Knowing How: Essays on Knowledge, Mind, and Action (Oxford University Press, 2011/2014). He is currently co-writing a book, The Moral Universe (exp. 2020), on the grounds and essences of moral concepts and properties, and our grasp thereof.